Hi Friends! 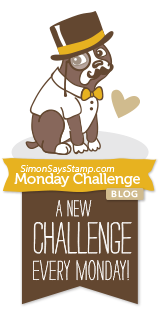 I hope you had an awesome weekend and you're ready for a new challenge on the Simon Says Stamp Monday Challenge. This week our theme is, Be Square. I created a shabby chic square gift box that could be filled with something special for someone you love on Valentine's Day or it can stand upright like shown in the photo below as a small home decor item used to decorate for the holiday. The key is from my nephew's wedding that was attached to our name tags for seating assignments at the reception. I thought it would be so pretty to add to the box. As always, I have a full tutorial below. Enjoy! To create the box, I use the Martha Stewart score board. It comes with instructions for many sizes of boxes and also for envelopes and I have used this tool for years and love it. 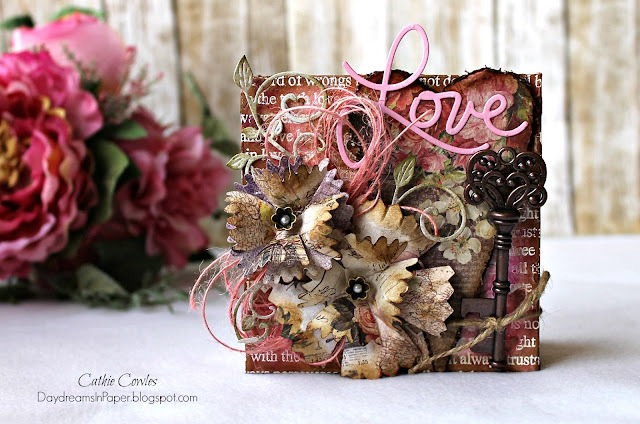 To create the base of the 4" x 4" box, I use two sheets of 8" x 8" card stock from Prima's You & Me Cardstock Collection. Score the card stock at 2 inches and 6 inches, then turn the card stock 90 degrees and score it again at 2 inches and 6 inches. When all the score lines are complete, fold the card stock along the score lines using a bone folder to get crisp folds. I cut along the score marks along two opposite ends so I can fold the flaps inward and up to form the box as shown in the photo below. Here you can see the box taking it's shape. I use double-sided tape to complete the base of the box. To complete the lid, I align the left side of the card stock at 1/16" mark. The arrow for this measurement is marked for you on the score board. This is so the lid will fit over the base of the box. For the lid, I score the 8" x 8" sheet of card stock at the 2 inch mark and the 6-1/8 inch mark. Turn the card stock 90 degrees and score again at the 2 inch mark and the 6-1/8 inch mark. Before I fold the card stock along the scored lines, I want to add the Simon Says Stamp Love Is background stamp using white embossing powder. I first ink the background stamp with Versamark Embossing Ink and stamp that onto the center area of the lid and then add Hero Arts White embossing powder. Here, you can see the stamped image ready to be set with a heat embossing tool. Here is a look at the result. Allow this to completely cool before moving on to the next step. 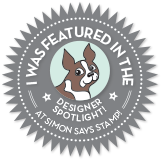 When the background image is completely cool, I add the Simon Says Stamp Large Falling Hearts stencil over top of the background image using Wendy Vecchi White Embossing Paste. Here is a look at the result. I allow the embossing paste to completely air dry before moving on to the next step. This embossing paste will puff up if heated with a heat tool. That's okay if that's the look you want but I wanted it to be smooth so I allowed it to air dry. Now that the embossing paste is completely dry, I color over the images with Worn Lipstick and Picked Raspberry Distress Crayons in random areas. I blend the colors together using my finger tips. To create a vintage look, I color on Vintage Photo Distress Crayon in random areas. I blend in the Vintage Photo crayon with my finger tips. Here, I adhere the corners to form the lid and ink the edges with Ground Espresso Distress Ink. To decorate the top of the box, I create a vintage style heart by using a free pattern I found online. You can find this pattern here. I cut one heart from white chipboard and the other from one of the card stock patterns in the Prima You & Me 8x8 Collection. I distress the edges of each of the hearts with a Prima Distressing Tool. To adhere the two hearts together. and ink the edges of the heart with Ground Espresso Distress Ink. 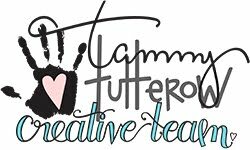 To create the flowers on the box, I cut three of the smaller sized flowers from Tammy Tutterow Designs Pinked Posies die set. I use a McGill Flower Shaping Tool kit to shape most of the flowers I make. The first step to form the petals is to use the large ball shaped end of the stylus tool by using a circular motion in the center of the flower petal. The petals will come upward as if the petal is closing. Next, turn the flowers over and push the center of the petal with the stylus tool. 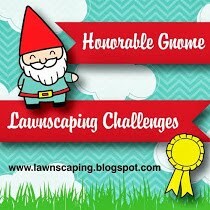 This will give the petals a rounded or curled shape. I also cut three of the large flowers from the same die set and formed them the same way. For the large flower, I combine one small petal with a large petal and for the smaller flower, I combine two small petals together. When adhering the petals together, make sure to offset them. To create the centers for the flowers, I use small metal flower centers from my stash and adhered them with hot glue. I add a small half pearl to the center of the metal piece and continue forming the flower until I'm happy with the way they look. I add some twine and flourishes behind the flowers, twine around the key and the Simon Says Stamp Love 2 wafer die cut from Bazzill Cotton Candy card stock to complete the lid of the box. I hoped you enjoyed seeing the process I used to create my square shabby chic box. 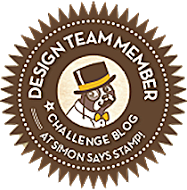 Please join us in all the fun and add your project to Simon Says Stamp's Monday Challenge Blog for your chance to win a $50 gift voucher to their amazing store. So beautiful! I love the feminine look of this box. Wow! I am in love with this box! Thank you so much for the tutorial, I am going to bookmark this page and make this box when I have some time. Wow! The box itself is a gift! What an awesome little box Cathie! I love how you went shabby chic with it, and your flowers are oh, so beautiful! I think you could be a paper florist! This is amazing! And wow! Way to make your own box! As always, it's a treat to see the whole construction process and I thought it was especially nice how you included a key that had such great meaning behind it. Such a pretty little box Cathie! I love it! The patterns, details and flowers are all so pretty and wonderful together.